If you live in the United States and you think about online shopping, chances are, Amazon is the first store that comes into mind. Out of all the US-based websites, Amazon is the top online shopping website for both sellers looking for a convenient and high-traffic website to put their products and buyers looking for quality products and convenient shopping with a few taps of their fingers. Amazon has had a major impact in terms of shopping. While it’s not the first website that created online shopping, since 1994, it has significantly changed the way we shop. Today, you can buy nearly anything from Amazon around the world, using globalization and the slowly shrinking world to bring products to everyone regardless of which country they live in. 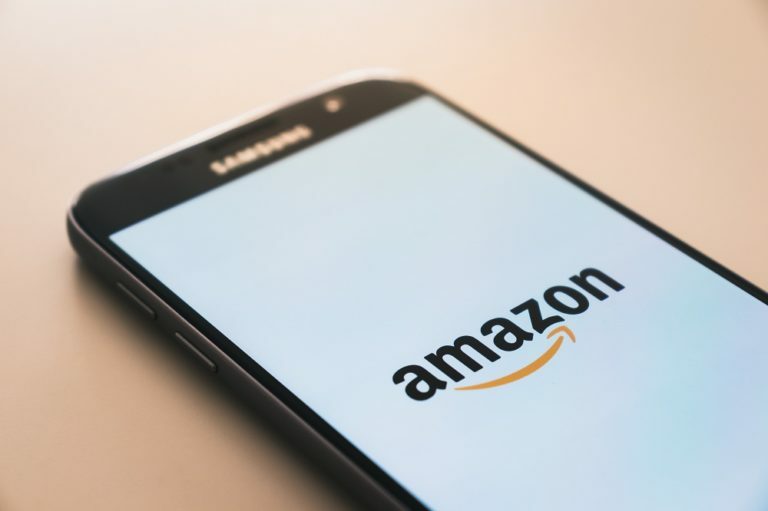 I could go on about Amazon’s history of changing the way we see shopping, its business image in the e-commerce industry, or how its Amazon Associates Program helps bloggers and website owners receive additional passive income through affiliate links. But, as a consumer, I can’t deny that online shopping has had its setbacks. When the internet is filled with scammers and Amazon customers have their own fair share of horror stories of poor-quality items, I need to know what kind of business I’m dealing with before making my purchase. And if I want to know more about what Amazon really stands for, I have to look at their mottos and slogans. Mottos and slogans may seem unnecessary when building a brand, but in terms of marketing and PR, your business’ slogan becomes part of the foundation that dictates how your business operates. For example, would you rather buy products from a company whose motto focuses more on providing their customers with quality products, or a company with a motto focusing on the company’s profit and growth? A business motto advertises the brand. The phrases “I’m Lovin’ It” and “Because You’re Worth It” are now attached to a certain brand because of years of cultivating a slogan into the consumers’ minds. So if you want know more about the business you’re dealing with, take a look at the slogan. It’s not always honest or accurate, but it provides a pretty clear image of what a business does and what you can expect from it as a buyer. 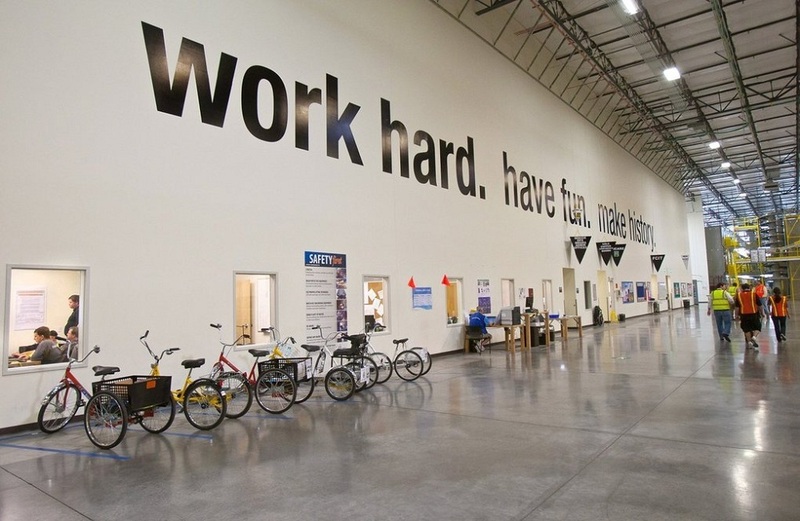 Amazon’s slogan is “Work Hard. Have Fun. Make History.” This isn’t as well-known as Amazon’s other taglines or mottos such as “From A to Z,” but this is the motto Amazon uses when recruiting people. Amazon’s founder, Jeff Bezos, started Amazon in July 1994 as a bookstore but continued to diversify until you could find almost everything you need on the website. Since the company’s growth, Bezos has gained a reputation for the way he manages his company and his employees. In his first letter to his shareholders in 1997, he admitted that it wasn’t easy to work for Amazon, as one would only choose between working long, working hard, or working smart. As of 2018, Amazon has over 613,000 employees, all of them working hard to provide new ideas to innovate e-commerce as well as provide top-quality services to its consumers. Many of Jeff Bezos’ speeches highlight the importance of working hard, among other skills, towards reaching one’s goals and success, and his motto is a sure sign of what he expects from his company and his employees. Given the way Amazon is changing the idea of online shopping that involves tweaking the way consumers see the internet and all its possibilities. To make that possible, Bezos and his company had to shorten news cycles and modify what was already working with something that only could work but simplified the solution. “There is no map, and charting a path ahead will not be easy,” said Bezos in his letter. He and his company needed to invent a new way of operations, and so he created a culture of experimentation at Amazon. Working there, failure was acceptable as long as it provided lessons one could bring to their next plan. It’s the same mindset that people like Steve Jobs and Mark Zuckerberg also carried. After all, thinking logically and like everyone else never got these men anywhere. Being successful at Amazon meant having fun and thinking out of the box, and that required a lot of imagination to successfully pull off. As of February 2019, Amazon is worth $134.5 billion, making Jeff Bezos the richest man in the world (though that may change following his impending divorce with his wife, MacKenzie). However, that’s no cause for Bezos to slow down. Despite his entrepreneurial achievements, Amazon continues to innovate and find ways to improve their services to their consumers. Through the company’s efforts, they have become not only the largest e-commerce marketplace and cloud computing platform in terms of revenue, they’ve also become the largest internet company in the world and the most valuable retailer in the United States. Despite all these, though, it doesn’t appear this is the last of the achievements Amazon seeks to achieve. Amazon’s slogan talks about working hard to achieve their goals, having fun by thinking out of the box and using one’s imagination and past lessons to create a new idea, and make history by working together to reach new heights. Marketing 101: What’s Your Unique Selling Proposition?